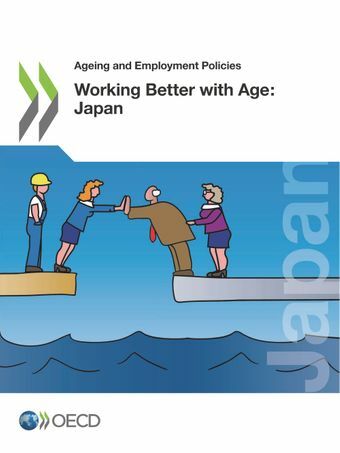 Currently, Japan has the highest old-age dependency ratio of all OECD countries, with a ratio in 2017 of over 50 persons aged 65 and above for every 100 persons aged 20 to 64. This ratio is projected to rise to 79 per hundred in 2050. The rapid population ageing in Japan is a major challenge for achieving further increases in living standards and ensuring the financial sustainability of public social expenditure. However, with the right policies in place, there is an opportunity to cope with this challenge by extending working lives and making better use of older workers' knowledge and skills. This report investigates policy issues and discusses actions to retain and incentivise the elderly to work more by further reforming retirement policies and seniority-wages, investing in skills to improve productivity and keeping up with labour market changes through training policy, and ensuring good working conditions for better health with tackling long-hours working culture.